Hi, I'm Pat Fish: the Queen of Knots. 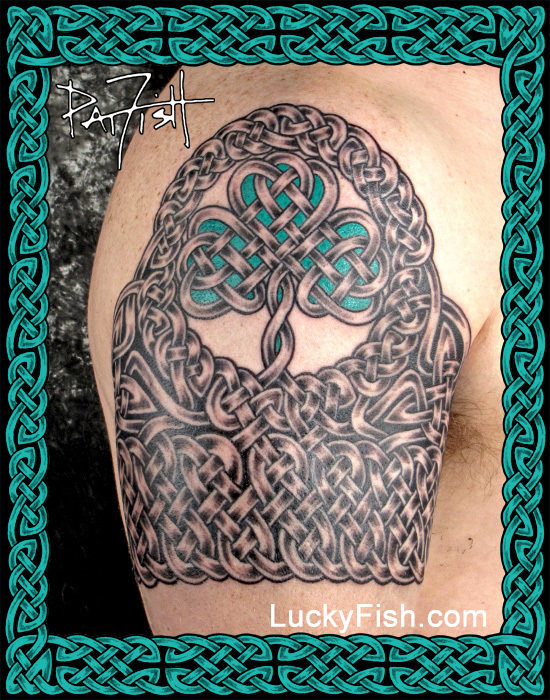 I've dedicated my 30+ year tattoo career to studying, improving, and popularizing the Celtic Art Style. 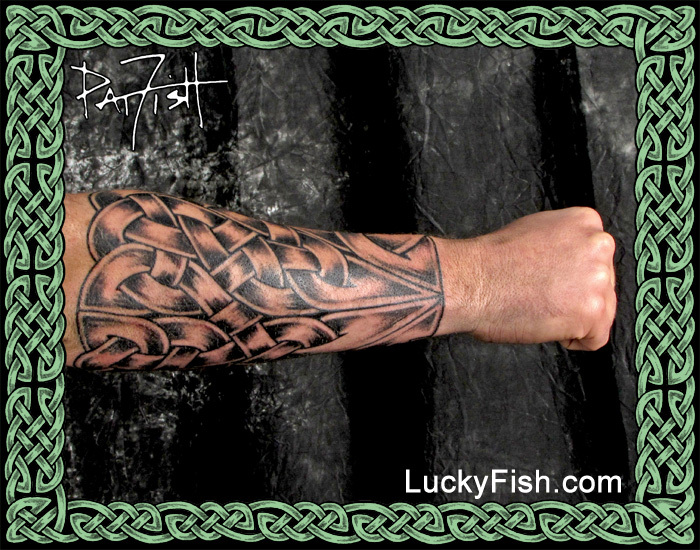 If you're looking for a custom Celtic KnotWork Sleeve or Authentic Historical Celtic Tattoo, you're in the right place! Clients frequently tell me that they have been looking at my website for years - I say, make an appointment now and you'll have that many more years to enjoy your tattoo! Make an <APPOINTMENT DEPOSIT> today, and you could be in the chair, starting a sleeve or other piece, within a few weeks! If you're not certain yet, feel free to browse around this website using the navigation links at the top of the page. If you can't make it to Santa Barbara, check out LuckyFIshArt.com for thousands of unique and custom tattoo designs available for purchase and immediate download.